In this issue of the Blood-Letter: a preview of our March Bloody Thursday panel of mystery comics creators, award nominations, what’s caught our eye, and more! 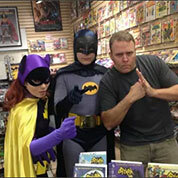 Friends of Mystery is pleased to welcome a panel of local comics authors and illustrators. Molly Muldoon’s high school superlative was “Most Likely to Write Murder Mysteries.” Well played, yearbook staff. Molly’s a writer, editor, and newly-minted librarian. 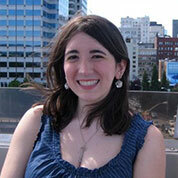 She’s the co-author of Dead Weight: Murder at Camp Bloom and has a story in The Cardboard Kingdom. She currently lives in Portland, Oregon. 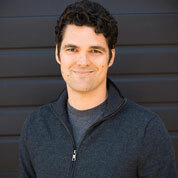 Jeff Parker is known for writing comic books, such as Agents of Atlas, X-Men First Class, Batman ’66, Aquaman, Future Quest, Thunderbolts and more. Yet for years he made a living drawing stories, as well as commercial art and storyboards for TV. Jeff lives in Portland, Oregon where he’s part of the country’s largest collective of comics creators, Helioscope. You can go to theedgars.com to find out who was nominated in these other categories: Best Short Story, Best Juvenile, Best Young Adult, Best Television Episode Teleplay, and the Robert L. Fish Memorial Award. The awards will be presented to the winners on April 25, 2019 at the Grand Hyatt Hotel, New York City. When Ordinary Grace was published in 2013 it pretty much swept the awards season for mystery books, including the Edgars. 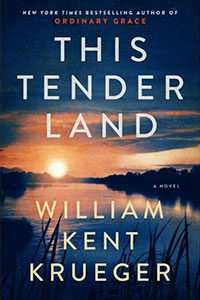 If you enjoyed that book, you’ll be pleased to know that this fall Krueger is releasing a companion book entitled This Tender Land. Four orphans are on the run from the law in this story set in southern Minnesota during the summer of 1932. As it is still unseasonably cold outside as I write this, here’s another author to consider: Camilla Grebe. 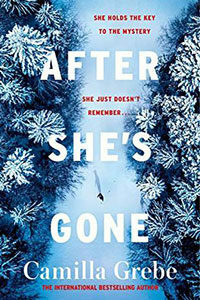 The author of The Ice Beneath Her, her latest book is After She’s Gone. “Out of the frozen depths of a forest in Ormberg, Sweden, a woman stumbles onto the road. Her arms are covered with scratches, her feet are bare, and she has no memory of who she is. Local police identify her as psychological profiler Hanne Lagerlind-Schon, who, with her partner, had been helping investigate the cold case of a young woman’s murder. Hanne begins to recover but cannot recall anything about where her partner is, or what their investigation had uncovered before her disappearance. Police have only one lead: a young woman in a sequined dress who was spotted nearby the night Hanne was found. Well, here we are again. Truly our end is our beginning. That corpse you buried in your garden, has it begun to sprout? Will it bloom this year? You must have wondered whether I, too, was buried deep in the earth. Oh ye of little faith. You must have known that I would rise again. Where do you get your suggestions/recommendations for the next book you choose to read? I will share where I find mine in the May newsletter – please let me know where you get yours. Just email me at: jvoss@spiretech.com. I look forward to hearing from you.